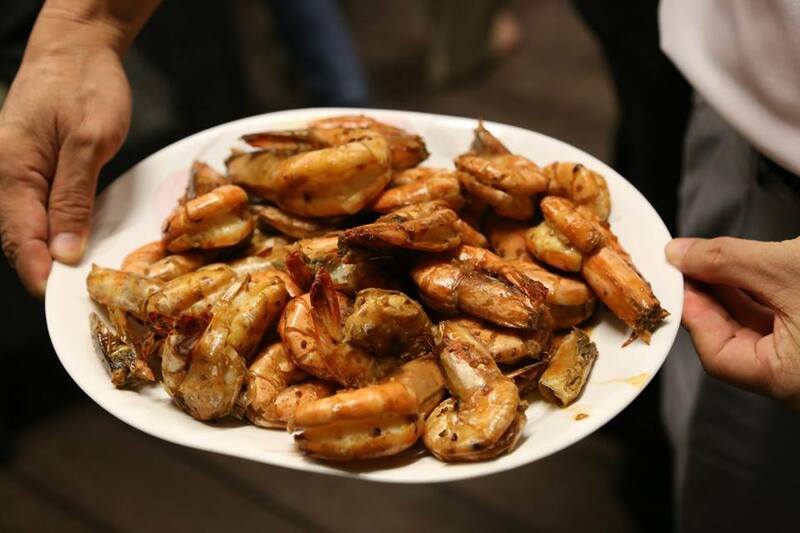 This recipe kind of self-evolved..
With high heat & a very dry wok, you get barbeque flavour but though the shells maybe sightly burnt, the prawns are baked in their own shells, so the prawns are moist, succulent & sweet. The fish sauce is another key ingredient. There is a teochew saying brandied by my nephew when I visited Shantou that means “high furnace, hot pan & fragrant fish sauce”. Fish sauce is added only at the end to a very hot wok, aroma filling the air, before dishing the prawns out of the wok & serving. Preparing the prawns – cut away the legs, whispers & spears. butterfly & de-vein the prawns. wash & put in a colander to drain & place in the fridge to dry. Take out 1/2hr before cooking so prawns will be at room temperature. Cooking – stir-fry the minced garlic and chilly padi in the wok on high heat. Add the prawns before the garlic turns black. 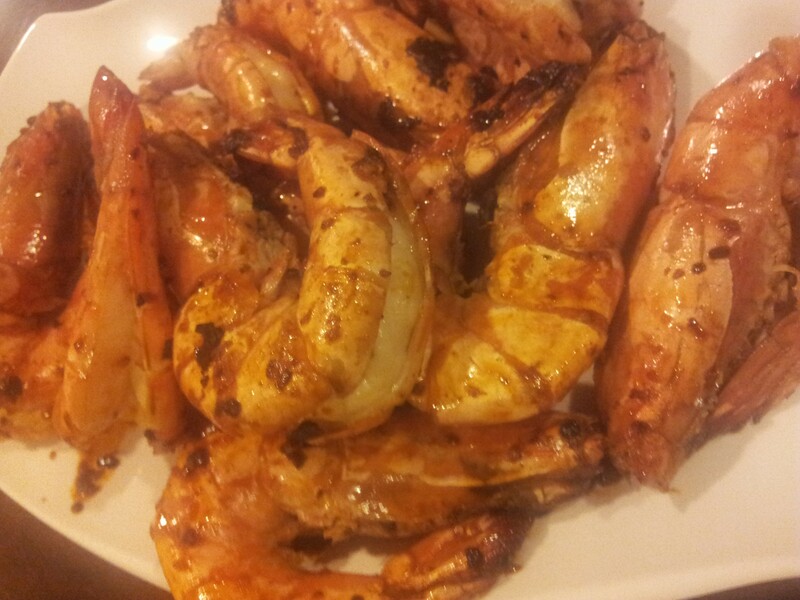 Continue to stir & turn over the prawns for few minutes on high heat. 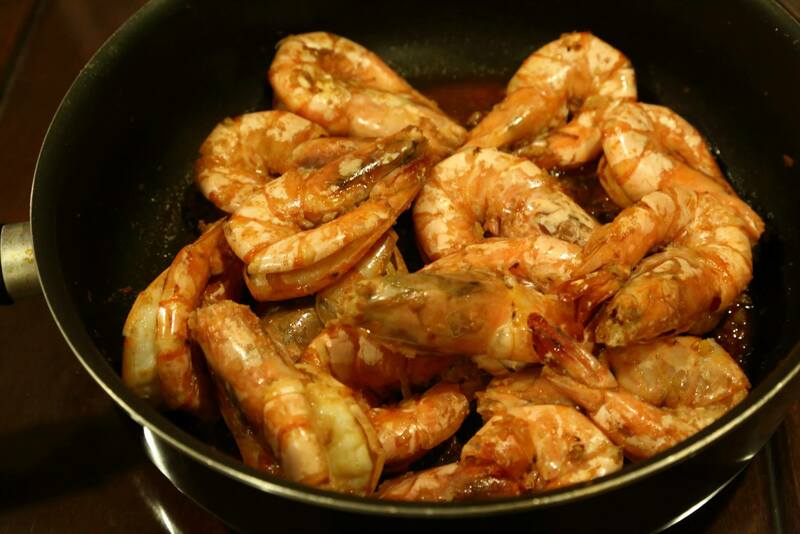 Turn to low heat & continue to stir & turn over until the prawns start to look opaque, which means they are cooked. Do NOT cover the wok as the condensation will turn it into steaming/poaching & the barbeque flavour will be lost. 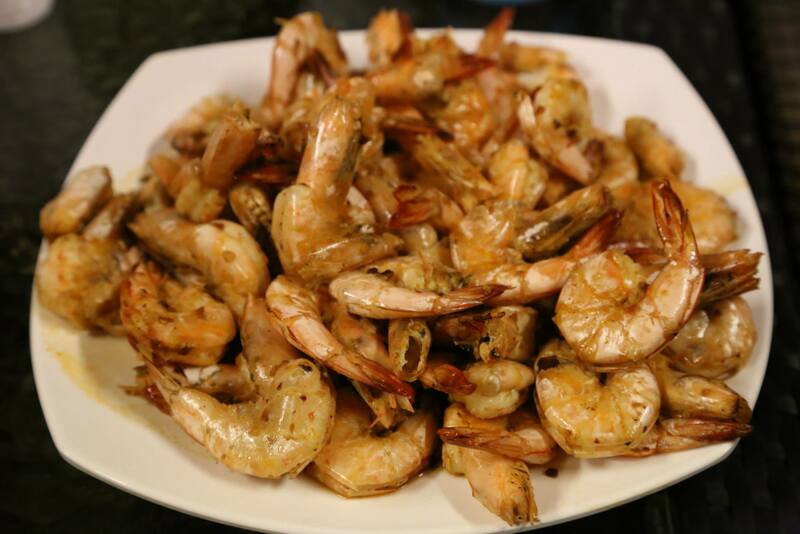 When the prawns are cooked, turn heat to high and add the fish sauce. You can feel the aroma wafting. Stir to get good distribution. Dish out of the wok & serve. Thanks for the ‘Fish sauce is added only at the end to a very hot wok, aroma filling the air, before dishing the prawns out of the wok & serving.’ tip. I suppose the 3 tablespoon of veg oil is added at the beginning to saute the garlic and chilli, The emphasis of the ‘dry wok’ makes me unsure here. yes, saute the garlic & chilli padi. 🙂 dry wok as explained is very key..absolutely no water, don’t cover the wok preferably as the condensation will take away the slightly charred BBQ flavour when the prawn is wet..if you cover must really watch like a hawk, best not to..